1) The Eschenfelder Project. We featured this number a while back, simply so we could give a pat on the hardworking back of its creators/caregivers, Eschenfelder Landscaping. 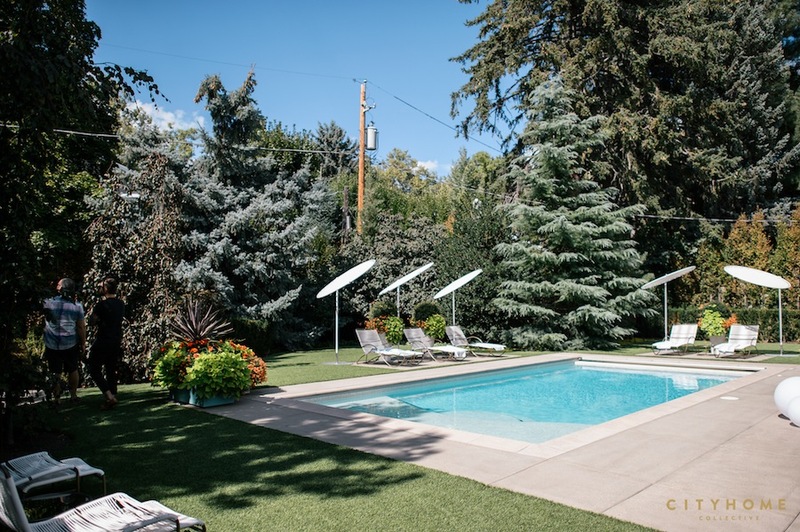 This yard is a breath of fresh air for a multitude reasons, and it's got us dreaming of the ideal summer soiree. We love the simplicity of the pool, and the perfectly-placed concrete pads that allow for seating and well-designed shaders. And the shades of beautifully-curated green foliage all around make it just private enough to feel sunny and shrouded. Sigh. Full story here. 2) The Smith Family. 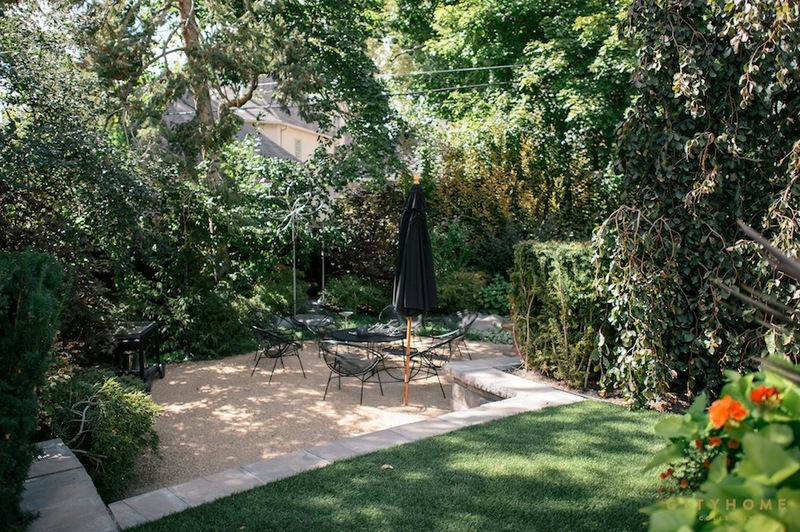 Technically, what you see below is more of a side yard, but what we designed (yep…CHC designed) here is so perfectly fitting for a back yard, that we're counting it. This is a classic maximize-what-space-you've-got situation, and a small piece of lawn wraps around back to accommodate for lazy days on a blanket. By opening the living room doors to this fabulous outdoor space, it's guaranteed to get plenty of use. 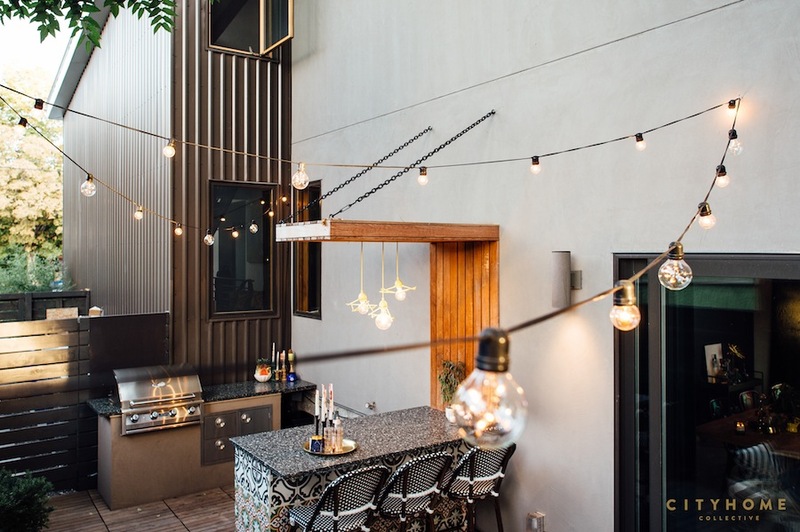 Plus, there's a fire pit, proper grill, and custom-tiled bar with overhead pendants. So. Yeah. Full story here. 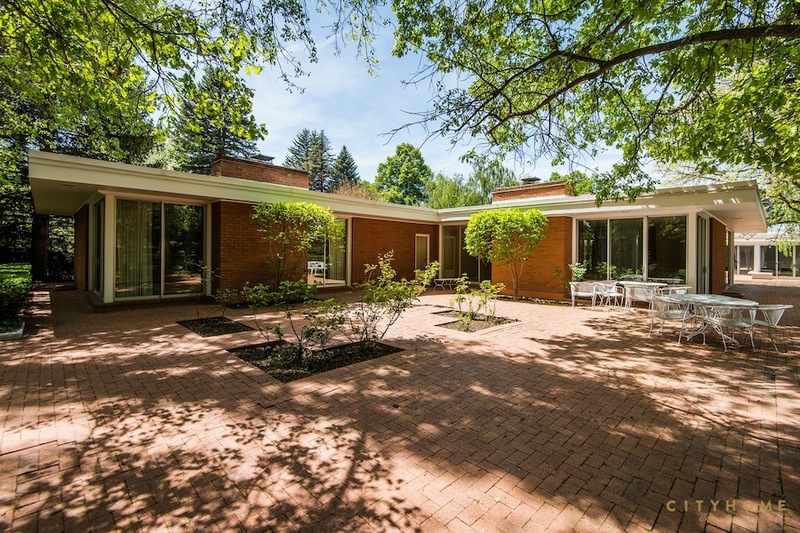 3) Cottonwood Circle. The thing is, we looooove a good party. 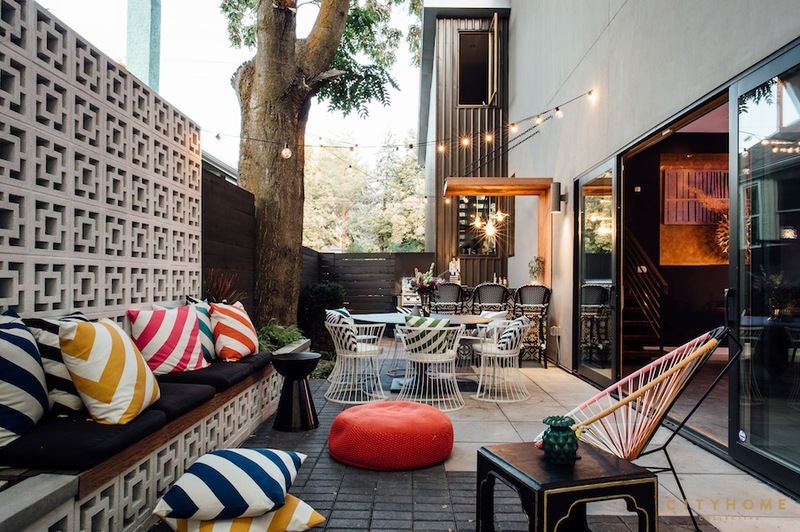 Gatherings are kind of our gig, so the yard (and adjoining patio space) below get our COLLECTIVE wheels spinning in a major way. You're set for any type of gathering here, from corn hole competitions to proper parties with a jazz band, fully-stocked bar, and proper dance floor…it all works. Indoor/outdoor ease (those windows! ), and with that wall of high trees, you've got the privacy box checked, as well. Bonus: this one's on the market and has loads of character. See the listing story here. 4) Georgian on Dorchester. 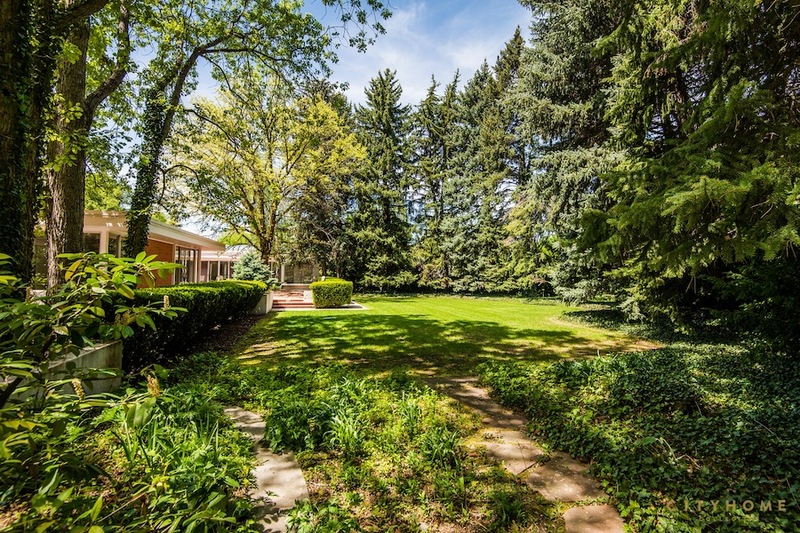 This yard is a lesson in serenity--something that we could all use a touch of from time to time. 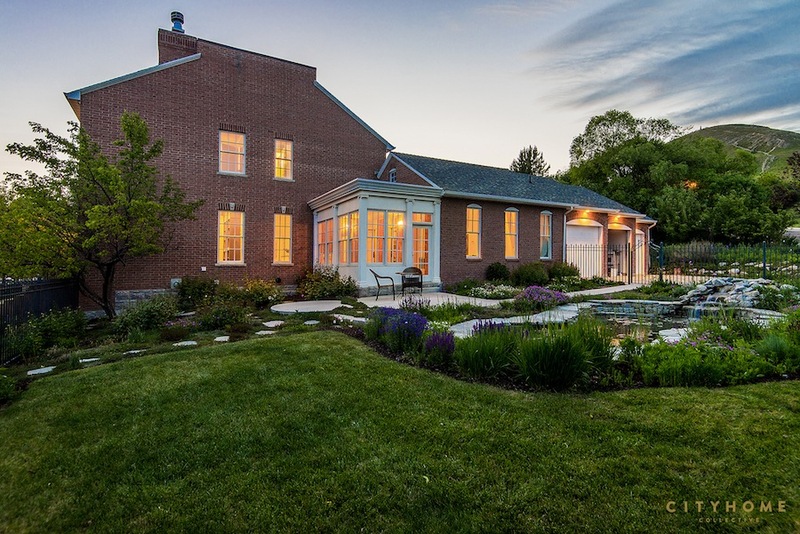 A still, quiet pond and wee, trickling waterfall are surrounded by gorgeous landscaping on the side of the home. 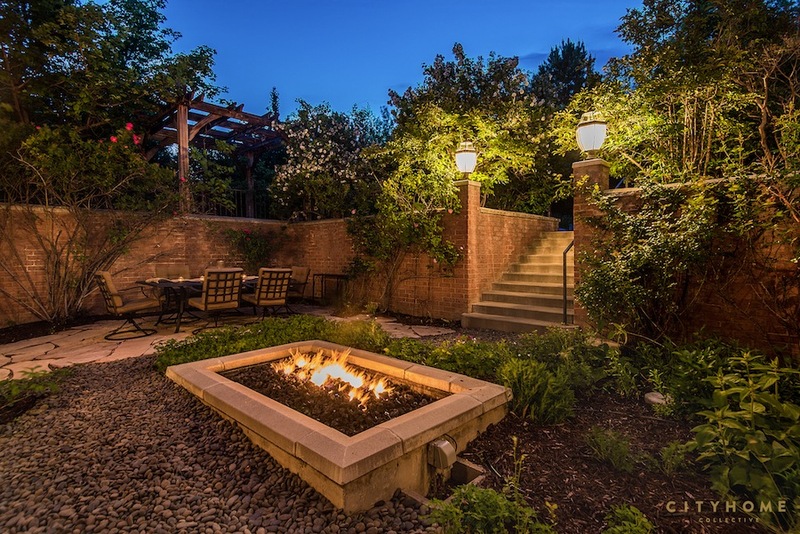 Around back, a tiered courtyard and gardens are punctuated by a dining spot, fire pit, and pergola…and the sort of lighting that'll have you chatting and sipping wine all the live-long night. More good news, too: it's currently on the market and yours for the taking. See the listing story here. 5) Viewcrest Home. It's an oldie, but it's a goodie. An oldie in the the sense that we listed and sold this gorgeous spot a few years back. A goodie in, literally, every other sense. 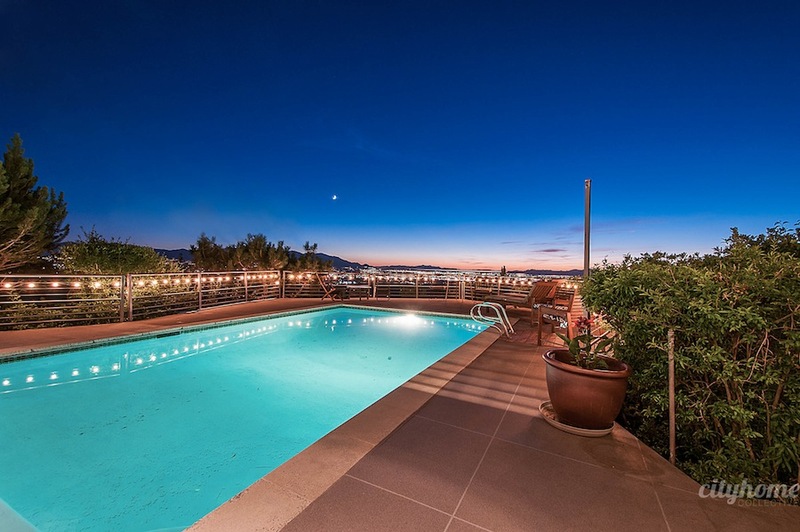 A home with backside decks that overlook the entire valley is one thing…when you throw a pool into the mix, things get ridiculously covetable. A dinner party with your close ones is made magic when the sun sets, and an evening (or daytime) dip over the valley isn't something you see every day. "Out back" just became your favorite spot. See full story here.